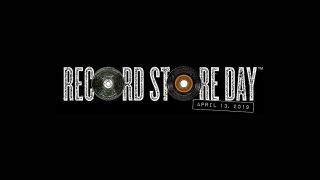 10 of the best Record Store Day 2019 releases | What Hi-Fi? Likely the only thing longer than the queue outside your local shop on Record Store Day is trawling through the list of official releases to pick out what you're after. As ever, 2019's is an eclectic mix taking in classic albums, previously unreleased tracks and remixes, as well as film soundtracks and a few spoken word recordings. Here, we've picked out ten of the records we hope to get our hands on come Saturday 13 April. Hopefully it'll guide you toward something you may otherwise have missed, just please don't pick up the last copy before we've been able to get ours. Phenomenally, Iggy turns 72 this month, and still he appears in ruder health than most people shuffling around the What Hi-Fi? office. We hope to celebrate Mr Osterberg's special day by spinning this 7-inch, due to be released on numbered green vinyl. Both tracks were recorded for Iggy's 1982 album Zombie Birdhouse, though Pain & Suffering only made it as a reiusse bonus track and this is its first ever appearance on vinyl. Few electronic acts have had as eclectic an output as Manchester's 808 State. This box set comprises four 12-inch records, each capturing a different side: "Haçienda-inspired acid house classics, Thunderdome-inspired full-frontal aural assaults, renowned collaborations and downtempo sonic baths." All remastered from the original master tapes, the set includes three unreleased tracks and a further three previously unreleased on vinyl. This long-lost album, recorded by Dekker and his backing band The Aces at Chalk Farm Studio in the summer of 1973, is getting its first release – on pale yellow vinyl no less – having been recently unearthed among the Trojan archives. It features seven tracks performed by Dekker and a further five by The Aces, presenting a fine opportunity to celebrate one of Jamaica's finest-ever musical talents. This five-disc box set does precisely as it sets out, featuring Aretha Franklin's singles and B-sides released by Atlantic in 1967. That means I Never Loved A Man (The Way I Love You, Do Right Woman – Do Right Man, Baby I Love You, Respect, Natural Woman (You Make Me Feel Like) and A Chain Of Fools all on newly-pressed 7-inch. This gatefold double LP, released specially on clear vinyl, features Tangerine Dream's 1984 live album released unedited for the first time in those 35 years. Recorded at Torwar Hall in Warsaw, the suite has previously been cut variously to omit certain sections of the performance; we'll now be permitted to bask in it all. Mike Skinner has recently been good enough to bestow upon us a number of new Streets tracks, but his Record Store Day release will be a retrospective double LP. The remixes and B-sides referred to will come from The Streets' first four albums: Original Pirate Material, A Grand Don't Come For Free, The Hardest Way To Make An Easy Living and Everything Is Borrowed. At the mention of Record Store Day we immediately think music, but Decca's release of this public appearance by foremost surrealist Salvador Dalí is one of a handful of spoken-word vinyl being released this year. Including an interview with Dalí and a live recording of the artist painting his Hommage To Venice on the balcony of the city's Teatro La Fenice in August 1961, it comes from Decca's original masters with its cover being unmistakably the Catalan's own work. Bowie's name is one never far away from a Record Store Day list, and this isn't Pin Ups' first appearance on one, either. For 2019, however, it'll be a single LP picture disc, meaning you can play your existing copy of his 1973 covers album and hang this one up to admire. Recorded after a three-week tour of Nigeria in 1979, during which Roy Ayers opened for Fela Kuti, this is the first time Music Of Many Colours is being pressed in 30-odd years. Knitting Factory Records has put it on rainbow starburst vinyl, matching the vibrancy and energy of the music held in the record's grooves. Factory Benelux is releasing only 800 copies of this expanded edition of The Durutti Column's seminal 1990 album Obey The Time, the last they released with Factory Records. Disc one is the original acid-inspired record in full, while the second disc features live tracks from a performance at Manchester University, and each will be coloured to match the record's iconic sleeve – purple and yellow respectively.